The price on the horseshoes seemed right, so I snatched them up. Now, several years later, they are still sitting, mostly untouched, in my shop. 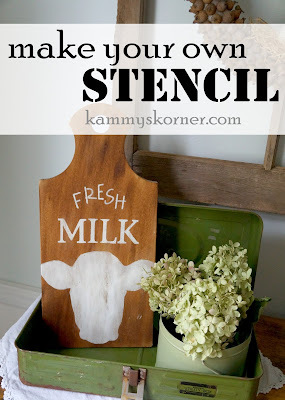 Since I've been having fun making animal stencils, I knew the time was right to pair the horse stencil I cut out with some signs and dust off those horse shoes. 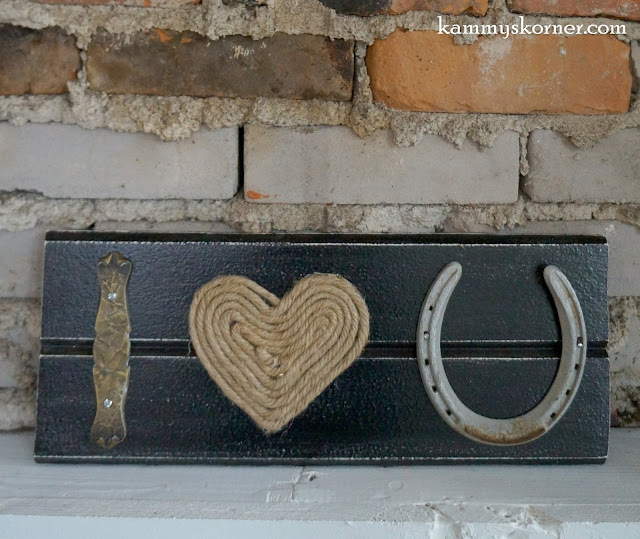 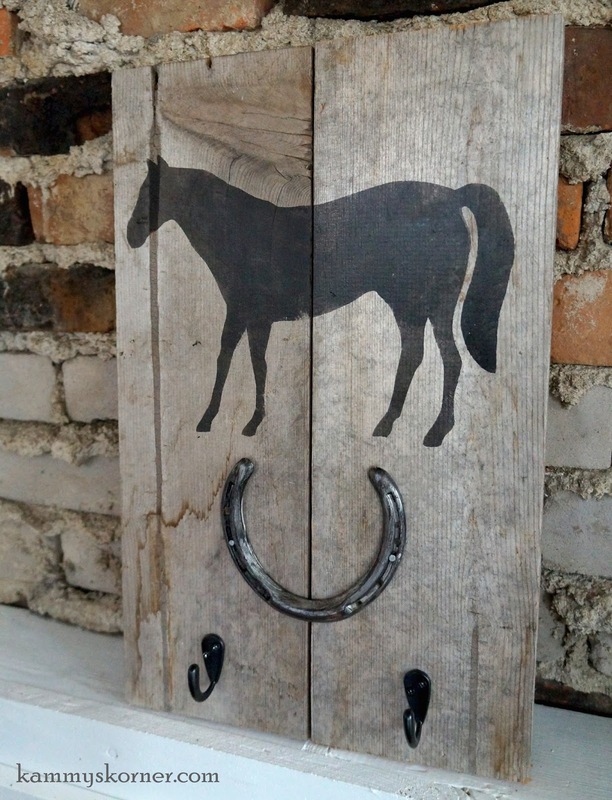 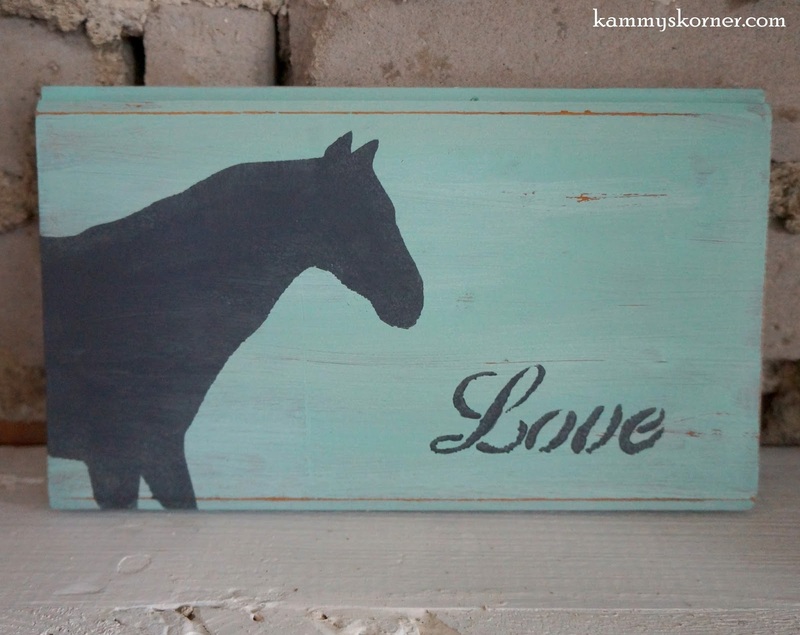 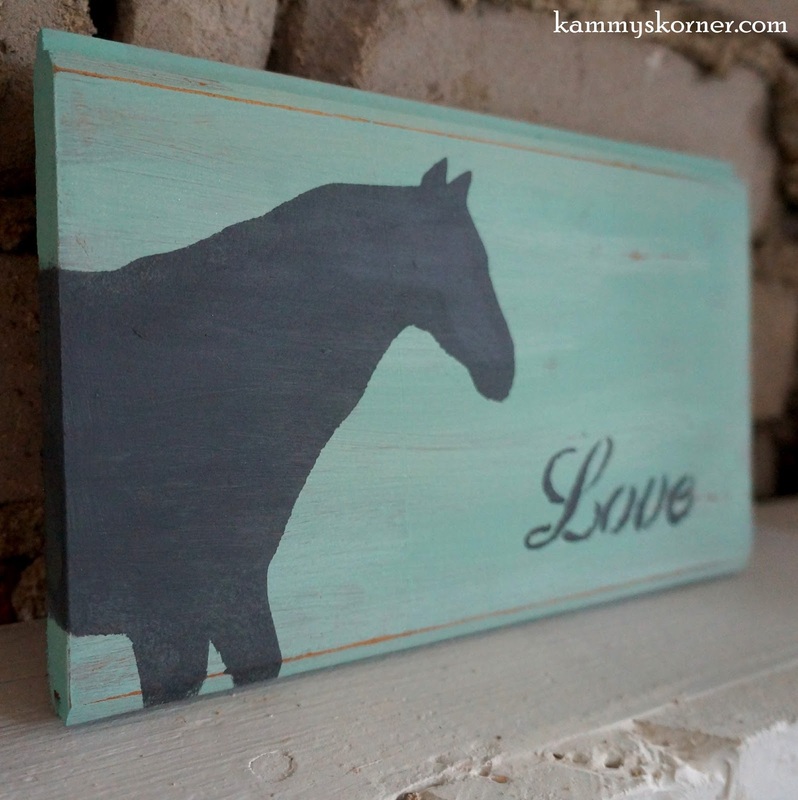 This one didn't get graced with a horseshoe, but I love the simplicity of this "horse love" sign. 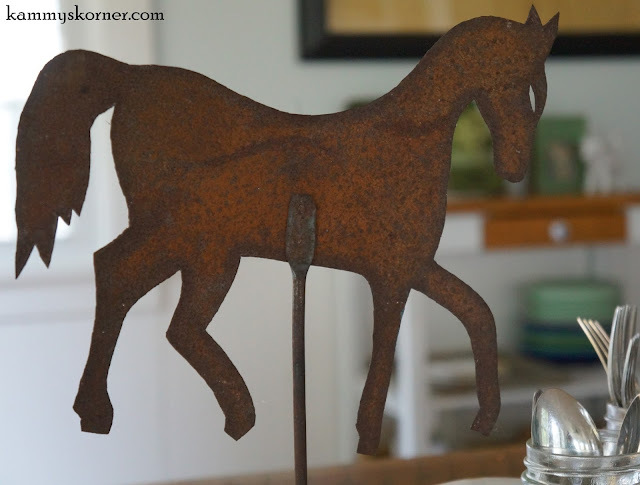 I do not personally have any horses, but I live near a small town and while I am mowing the local Ice Cream Dairy, it is not uncommon for girls to come through the drive thru on horseback!!! 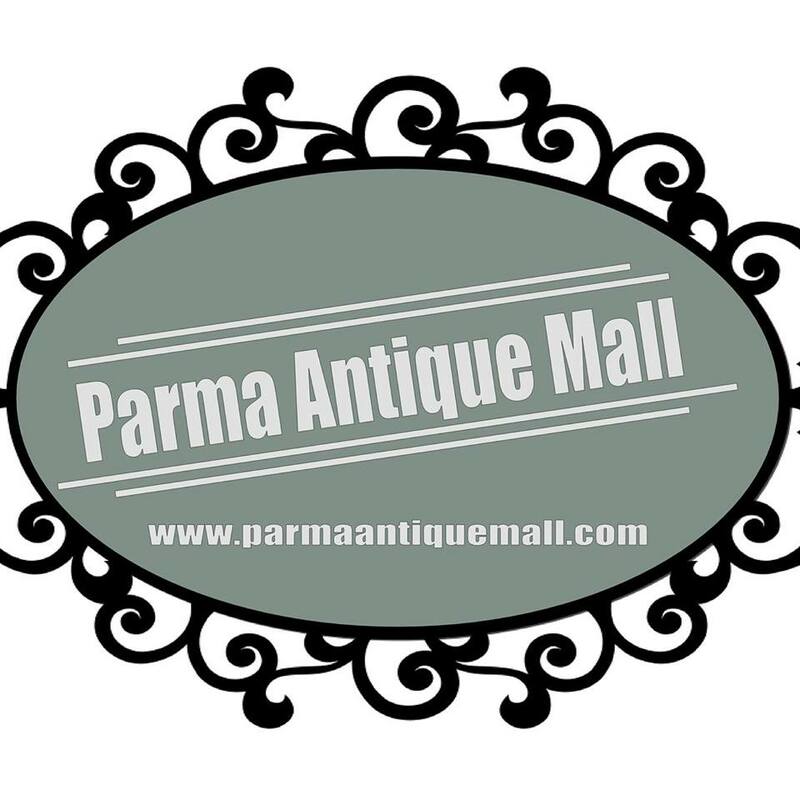 Yes, I love our little country town of Parma. 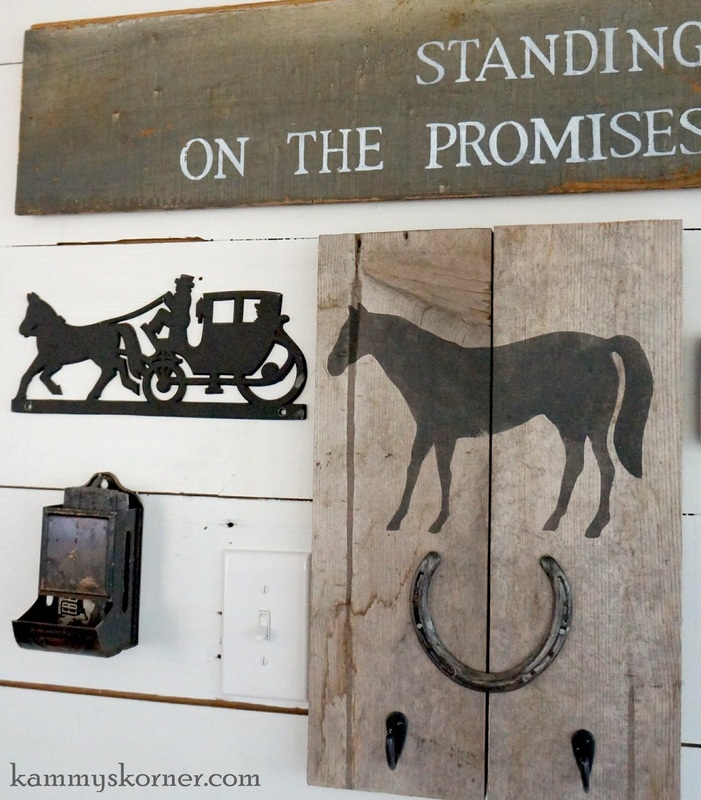 The sign above and below are both painted on wood scraps we tore off our house during renovations. 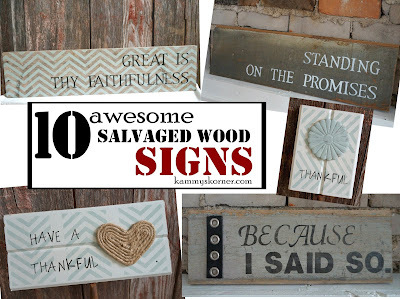 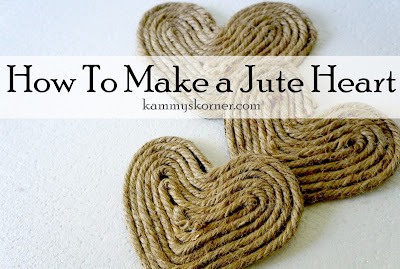 And if you love him, Custom Cut Decor does awesome things with rusty metal!